Since we're in the final days of October, we used a fun pumpkin song to round out this week. 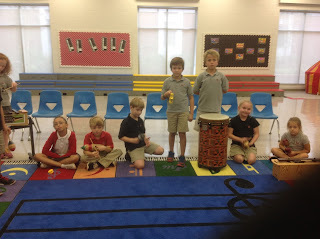 We learned the song "Pumpkin Stew," which is another song in a minor key. (Remember from a previous post, minor music has that "spooky" or "sad" sound to it--perfect for windy, dark nights). 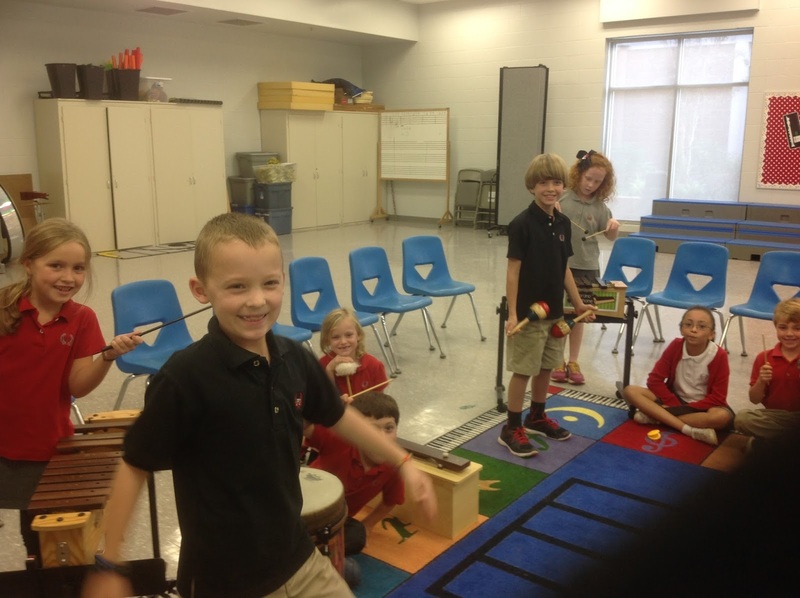 I tried something different this week and used the same exact song in grades PK-4th, however, we added in more complex musical ideas and components as the grades went higher. 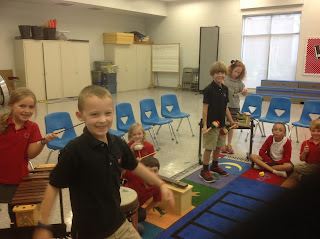 In general, the classes learned the song "Pumpkin Stew" by listening to me perform and sing it on the Bass Xylophone. 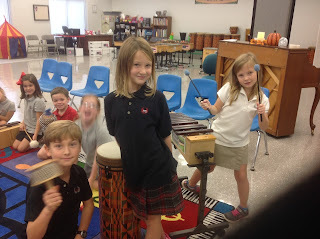 Then, after they could sing it without me, we added in percussion instruments and formed the Pumpkin Stew Band. 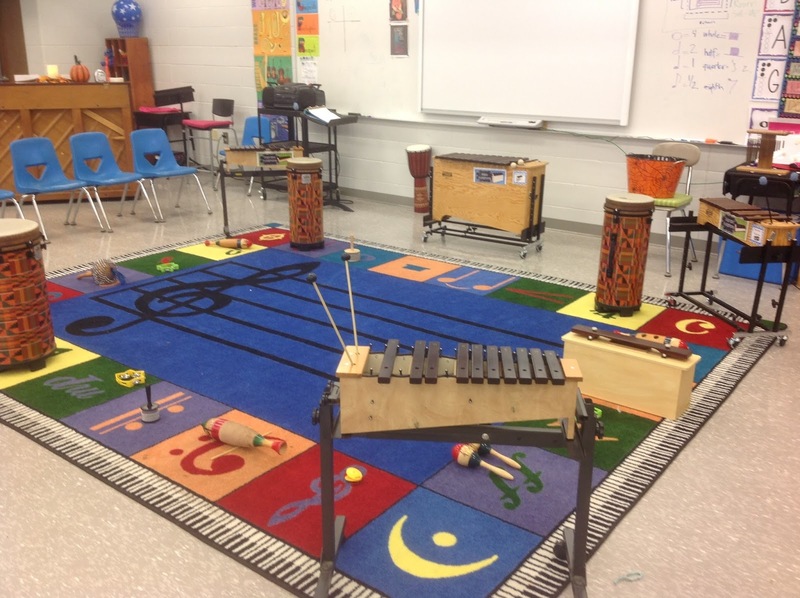 We talked about how to play the various instruments in the percussion family and how musicians work like a team. In 4th grade, we added our recorders to the song, along with a new recorder note. (Unfortunately, I didn't get a video of 4th grade playing!) We also used our imaginations as we became "Musician Chefs" and added ingredients to the stew pot in the lower grades. We even used wind chimes as a sound effect for the kitchen timer! Below, are videos and pictures from various grade levels performing their version of the song "Pumpkin Stew." Enjoy!